Their incredibly personal stories have been brought to life with a huge outdoor and experiential docuseries "#FindThemOnBumble". Bumble has launched a multi-million dollar campaign that’s been more than a year in the making. The female-first social connection app, which boasts more than 40 million global users, is celebrating 112 of their most inspiring New York City Bumblers. "#FindThemOnBumble" is a docuseries, outdoor and experiential campaign. Bumble spent the past 12 months connecting with real Manhattan users to learn their stories about friendship, business, love and living an empowering life. The team garnered hours of emotional content and portraits which are the focus of more than 500 outdoor placements across subway stations, storefronts, buses, coffee sleeves, pizza boxes and New York Post newspaper wraps. "We have the most vibrant community of users in the world, and we wanted to do something special to celebrate their authentic and inspiring stories," said Bumble CEO and founder Whitney Wolfe Herd. 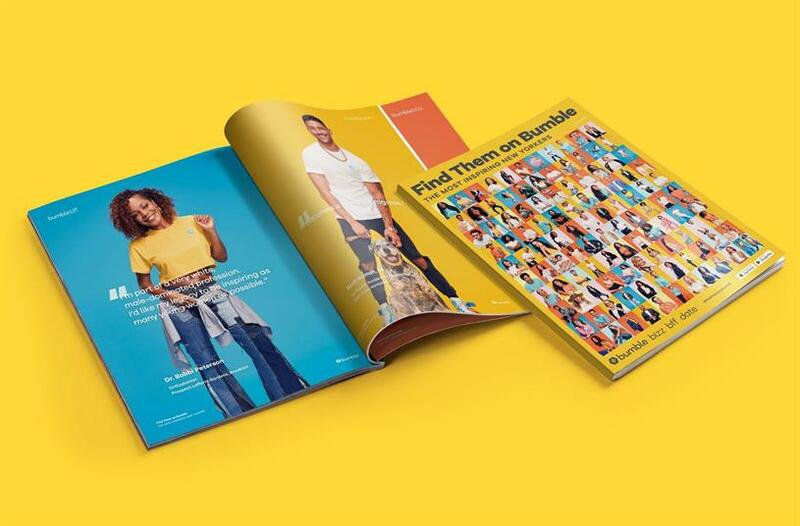 "This collection of personal and vulnerable vignettes from real users captures the very essence of what Bumble is all about: honoring those that share our mission and values of kindness, accountability, empowerment and equality." The strategy and media plan was developed in collaboration with creative media agency, Noble People. Alyssa Mastromonaco, former White House deputy chief of staff under the Obama administration, Liz Bouk, opera singer, and Julie Rice, founder of SoulCycle, are just a few highlighted individuals from the campaign whose stories are brought to life. 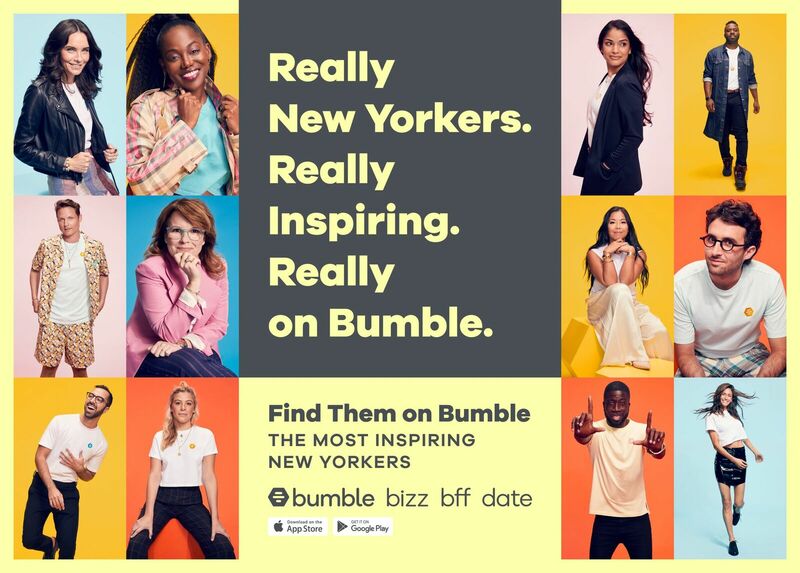 The campaign’s Instagram account, @FindThemOnBumble, and www.FindThemOnBumble.com will provide destinations for people to experience all of the content from Bumble’s Most Inspiring New Yorkers. "This is just the beginning for #FindThemOnBumble. We’re going to take this campaign to cities all over the world in an effort to celebrate the raw and inspiring beauty of our users and their personal stories," added Wolfe Herd.